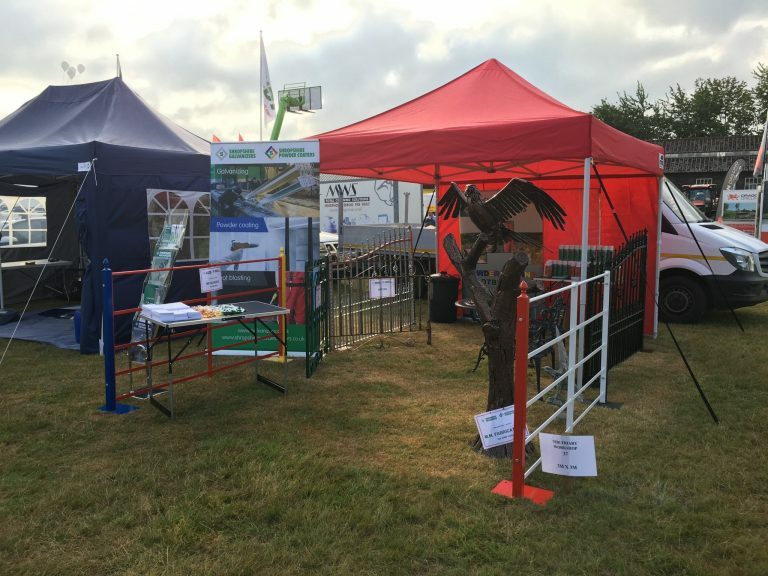 Our Shropshire plants enjoyed attending the Oswestry Show on Saturday. Thank you for all current and new customers who visited our stand. We were treated to lots of visitors – some of which are already new customers! Also thank you to the customers who allowed us to display their products on the stand – M.M. Fabrications, The Friary Workshop and Metalworld. Any questions or queries about the services we offer – galvanizing, powder coating and shot blasting – please just call the office on 01691 670757 and we will be happy to help. Alternatively, visit our website where we have further technical information.